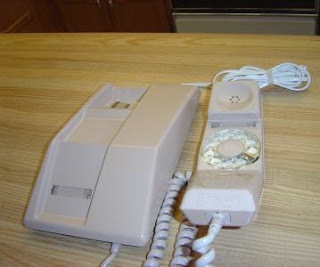 My aunt who lived next door had a phone like this. 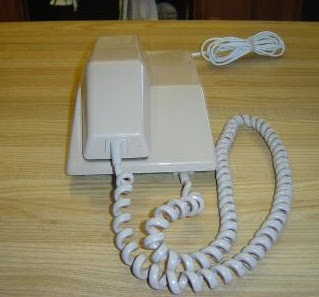 While ours was a big clunky black thing, hers was sleek and modern, I loved it! Posted by Karen at 1:31 p.m.